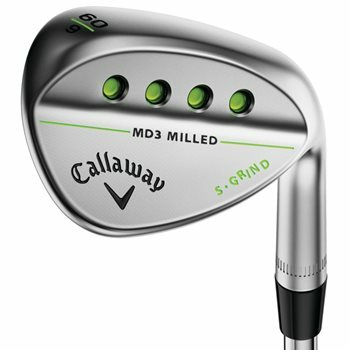 The Callaway MD3 Milled wedges were designed to have the versatility for every shot, every course condition and every swing. After receiving extensive input from Tour players, legendary wedge designed Roger Cleveland used their feedback to create the toe profile, sole and grinds of the MD3 Milled wedges. With 3 unique grinds, a new milled Progressive Groove Optimization system that optimizes spin for each loft, and advanced shaping and design, you can specialize your wedges to your game. The S Grind is the most versatile option and is great for a wide range of course conditions, shot types and swings. Review by ., 1 year ago.